Dr. Shawn Baker recently put up a video entitled, "Help! Salads gave me autoimmune disease!" Autoimmune disorders seem to be on the rise, as is the push to become ever more plant-based. Yet, is it really improving our health? More and more women are on anti-depressants as well. If you are dealing with depression, and eating a largely plant-based diet, you may want to read this article in Psychology Today, published Nov. 2012, You're a Vegetarian, Have You Lost Your Mind? by Emily Deans, M.D. I also link a good handful of studies ~ food for thought about high-carbohydrate, versus high-fat diets, and more ~ at the end of the post. We observe people at our clinic who by and large all now firmly believe that red meat, saturated fat, dairy, and to a lesser extent eggs are BAD for health. In fact, red meat is among the most nutrient dense foods, aside from eating liver or other organ meats. Perfectly Seasoned & Tender Prime Rib, recipe here. Eating more fat than one burns can lead to fat gain, especially when in combination with a high-carb diet, or excess total calories. However, saturated fat consumption in appropriate amounts contains fatty acids that are important for healthy brains and bones. The brain preferentially prefers to burn fat over glucose. There are new associations being made linking high carb diets with cognitive decline, while coconut and MCT oils are showing great promise in helping improve the cognition in patients already dealing with dementia. I would recommend books by Dr. Mary Newport, shown below, for more on this topic. She has direct experience having helped her husband with an aggressive, early onset form of Alzheimer's by administering coconut and MCT oil, and later, exogenous ketones to him. He himself said at one point after starting treatment with coconut oil that "he felt like a switch went on" in his brain. He went from not recognizing extended family, and not being able to do simple things for himself, like showering and dressing, to recognizing family, doing those tasks unsupervised, and being able to engage in conversation ~ just from taking coconut and/or MCT oil! 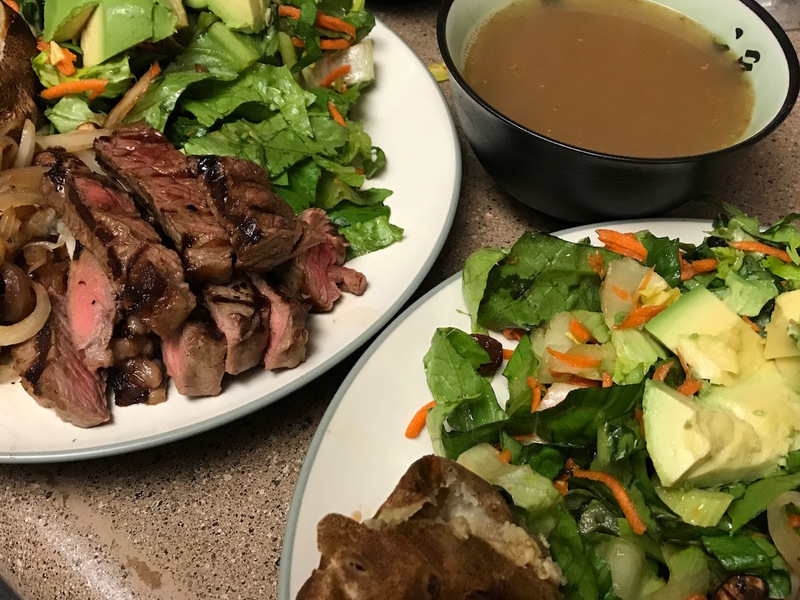 Dr. Newport recommends a ketogenic diet, and even supplementing with exogenous ketones for many health reasons, and discusses latest research, plus has recipes in her new book, The Complete Book of Ketones, below. You will find Dr. Baker's video linked at the end, and in the description box of my video, Salads, Kombucha, and Green Smoothies WON'T Help You Maintain Strong Bones or Health As You Age, below. As a recovering produce-rich, plant-based, greens-loving ex-vegan, I can say that once I began to eat animal foods again, I totally lost all desire for kale and other dark leafy greens ~ the very foods I SWORE were Nature's pharmacy! When I look at those foods, I no longer think, "my they look so healthy." Instead, I sense that they remind me a bit of cardboard. Only more bitter. Most of the greens, vegetables, and many fruits found in stores are either hybridized, grown in mono-crop settings which leach minerals from the soil while also destroying top soil, and/or are imported from distant places, requiring more resources for shipping and storage. The produce section ~ the section I could NOT WAIT to go to first when shopping, to proudly fill my cart with all the colors of the rainbow in the form of greens, vegetables, and fruits ~ no longer lures me in. Maybe the berries and some fruit appeals to me, but by and large, I've lost interest. I think it's worth considering that once upon a time, nobody was consuming Kombucha drinks, green smoothies, HUGE salads, or raw pressed juices. At least not to the extent we now see. Watch the sitcoms or news reels from the 60s, and you see mostly slender men and women. And healthy kids. By and large, there is now a plethora of so-called 'healthy' foods on the market ~ special elixirs or gluten-free mixes, yet people are less happy and healthy than ever! Our seniors are replacing hips and knees. And they are losing their minds.(1),(2). According to Alzheimers.net, "A new report from the Alzheimer's Association has found that women are at a higher risk for developing Alzheimer's than men." They attribute this to women living longer, but could there be other factors involved? Like higher carb diets? Out of the 5 million people living with Alzheimer's in the United States, 3.2 million are women. 1 out of 6 women over the age of 60 will develop Alzheimer's, compared to 1 out of 11 men. Women in their 60s are twice as likely to develop Alzheimer's than they are to develop breast cancer. I really don't believe we were designed to decline like this. We once didn't. That was when we were eating whole-foods, animal-centered diets ~ like our more distant ancestors. Sadly, even kids these days are highly medicated these days! We were not created to malfunction at such early ages! Most senior centers serve carbohydrate-heavy meals, lower in fat. They serve very little red meat. Most women from their 30's and up that I meet or see as clients are all believing that they should eat lots of greens in some form or another. Lots of it. And VERY LITTLE meat, if any at all. We need the nutrients from animal foods, and especially beef or organ meats to maintain lean muscle, strong bones, and immunity from dis-ease of all sorts. You may enjoy eating all that green stuff, and spending hours buying, cleaning, chopping and preparing all those salads, raw juices, and vegetables. That is great. I did once too. I'm certainly not telling you NOT to eat them. I am just warning people to the degeneration that will occur when the proper nutrients are not obtained for extended periods. Once older, deficiencies, and loss of bone density, loss of visual acuity are much harder to correct! I am also saying that if you really really enjoy all that salad, be aware of possible consequences. Perhaps watch Dr. Shawn Baker's video ~ linked at the end of my video, above ~ discussing autoimmune conditions if that is an issue you are currently experiencing. Otherwise, eat them, but don't believe that they will provide immunity from premature aging and other health problems. Not in and of themselves. Eat your greens and salads if you like, but add a nice big juicy steak, or some turkey meat, shrimp, or seared tuna to that bowl. Then you really will be 'bowling' over with better health. Dietary carbohydrates could lead to osteoarthritis, new study finds. Do your knees hurt? Your diet could be a culprit. Science Daily. Low-fat diet could kill you, major study shows.